Keep up your English this summer with intensive classes at The Language Corner! As always all our classes are with native English teachers, who will correct your grammar and pronunciation mistakes. 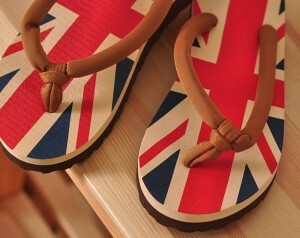 All while you improve your English speaking and listening through interesting conversation activities. Intensive classes in July run from Monday to Thursday, and cost 44€/week. Save money when you book between two and four weeks of classes at the same time. Contact us for information on other levels and ages. The school in La Elipa is near to both La Elipa and El Carmen Metro stations, within walking distance from Avenida Marqués de Corbera, Avenida de Daroca and Calle de Alcalá. The number 28 bus that runs from Puerta de Alcalá to Canillejas stops 2 minutes from the academy. This entry was posted in Academia de inglés en Madrid, English in Madrid, Idiomas Madrid, profesor nativo inglés Madrid, School Information and tagged inglès en verano, intensivo, nativo on June 17, 2015 by Luisa. Where are you from? Scotland. Tell us a bit about yourself: I’m from a little village near Edinburgh and I’ve been living in Madrid for a year and a half. How long have you been working at the Language Corner? Since September 2014. What do you like most about teaching? I love people and I really enjoy getting to know my students. I feel very satisfied when I see their English developing and their confidence in the language growing. What hobbies or talents do you have? I love to sing, explore and meet people. What kind of music do you like? I like lots of different styles: soul, reggae, folk, jazz, flamenco and pop. What is your favourite movie? I like foreign films and I love directors like Emir Kusturica and David Lynch. My favourite film of last year was The Grand Budapest Hotel. What book are you reading right now? Spanish Verbs and Grammar! Where is your favourite place in Madrid? I love Retiro, Parque del Oeste and many of the beautiful parks and museums in Madrid. I also like hanging out in Lavapies and La Latina. 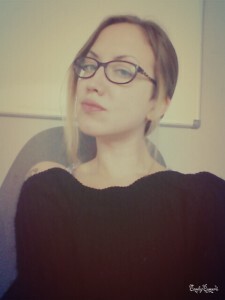 Tell me something interesting about yourself: I studied Russian and hope to re-learn everything that I’ve lost over the next year as well as improve my Spanish. Top tip for learning English: Try to study a little every day and be consistent! I really feel that 10 or 20 minutes a day is more effective than trying to learn lots of grammar in long sessions. This entry was posted in Uncategorized on June 8, 2015 by Luisa. 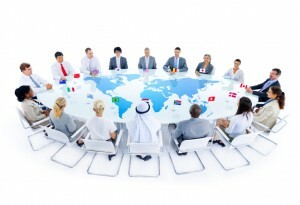 Are you a businessman or businesswoman living in Madrid? Do you work or would you like to work for an international company? Would you like to study business, human resources or another professional degree? Do you hope to get a job in the business field? Have you always dreamed of working overseas? The Business English Certificate (BEC) is what you need. 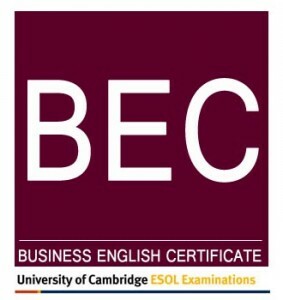 The BEC is a Cambridge exam that can qualify your level of proficiency in business English. You will learn things such as how to write formal letters, how to take notes, how to give presentations, how to communicate ideas and you will develop business vocabulary. This July, why not invest in your future by studying for the Business English Certificate (BEC) at our Language Academy located in Madrid. The Language Corner has a BEC English Class this July. Conveniently located near many business districts in Madrid in postcode 28017. The Language Corner is located at C/ Gandhi, 19. The Native teachers at our English Academy are happy to help you prepare for the BEC exam, or any other English objectives that you might have. This entry was posted in Academia de inglés en Madrid, English in Madrid and tagged business english, Cambridge Exams, Intensive English, summer English on June 2, 2015 by Merlin.